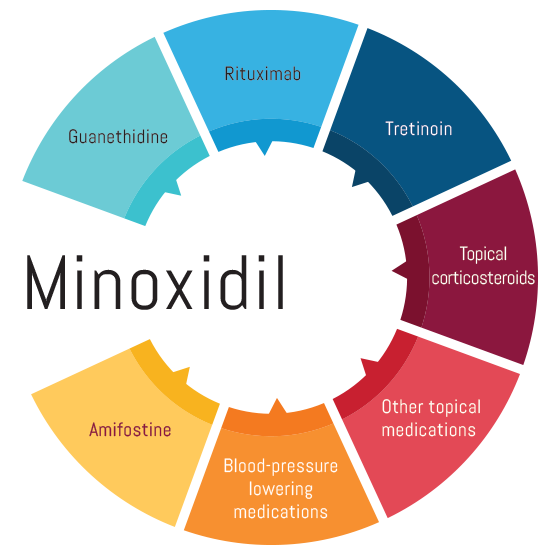 Minoxidil is an anti-hypertensive peripheral vasodilator drug being primarily used for different patterns of baldness and hair loss in men & women. It belongs to the drug class of pyrimidine derivatives (Arteriolar smooth muscle). It is commonly known by the trade name as “Rogaine”outside of India and Mintop, Tugain, Regaine, etc. in India. 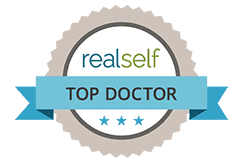 How Minoxidil was discovered and what were the earlier forms of Minoxidil? Earlier, Minoxidil was used to treat the hypertension in the form of pills named as “Loniten.” But researchers noticed that it also helps in the hair growth. So, its use as medicine for hair growth was started. Since it led to hair growth all over the body, it could not be used in the same form. The researchers then opted for a new formulation in the form of lotion that could be directly applied to the scalp without affecting other body parts. 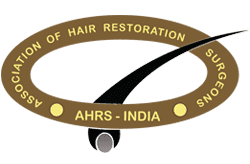 How minoxidil transformed from an anti-hypertensive drug to hair fall drug? They panned out that DAM reduced blood pressure in dogs but not in humans. They opted for DAM metabolites named DAMN-O which went into several clinical trials in patients suffering from hypertension in 1961. It resulted in the lowered blood pressure but caused some side effects including salt and water retention, even heart failure. So DAMN-O was withdrawn from the study. Further Upjohn researchers amalgamated several DAMN-O analogues including Minoxidil keeping the factors of side effects in mind and avoiding it. Along with minoxidil, several diuretics and beta blockers were added in the study to reverse the water and salt retention. Minoxidil showed reduction in blood pressure levels with minimal side effects during clinical trials. 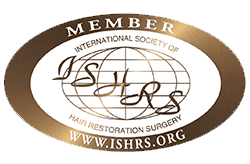 As word from people got out that minoxidil resulted in hair re-growth, Upjohn researchers in Kalamazoo headquarters, Michigan, inundated with the volunteers for hair loss trials with a topical formulation. This trial was performed on macaques (a species prone to hair thinning) and re-growth of hair was observed. After that, Upjohn launched minoxidil as “Regaine” topical solution of 2% in UK in 1988. Minoxidil was the first drug approved by the US Food and Drug Administration in August 1988 for the treatment of male patterned hair loss (Androgenetic alopecia). 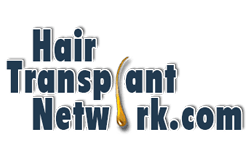 How Does Minoxidil works and how it reduces the hair fall? Is converted into an active form Minoxidil sulphite with the help of the enzyme sulfonyl transferase. It works by opening the potassium channels which facilitates the cell membrane hyper-polarization and expansion of blood vessels. Thus, oxygen becomes readily available to the hair follicles in the scalp which results in hair growth by conversion of Telogen (resting) hair into anagen (growing) hair. 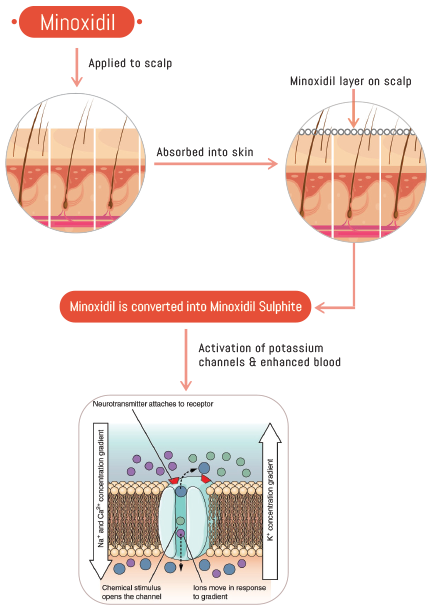 Minoxidil also directly stimulates the hair growth through the activation of prostaglandin endoperoxide synthase-1 (PGHS-1, main isoform present in the dermal papilla cells). It also produces an increase in number of dermal papilla cells by activating ß-catenin activity. How does Minoxidil promote hair re-growth? What are the different formulations of Minoxidil? Loniten: Oral antihypertensive drug. It is not prescribed for long term treatment of hair loss. 2% Topical Solution: Commonly known as Rogaine (first liquid formulation). It is no longer recommended for men but still in use by women to reverse hair loss. 5% Topical Solution (Minoxidil Solution and Minoxidil Lotion): Recommended for men, newly formulated. Higher success rate than 2% solution of minoxidil. 5% Aerosol Foam (Minoxidil Foam): More advanced formulation specially introduced for men suffering from contact dermatitis due to the use of minoxidil formulations. Shows success rate of approximately 85% in men. Higher than 5% Formulations: Shows significantly less hair re-growth than 5% formulations, also produces more side effects. Minoxidil 2% helps to stop hair loss and promotes hair re-growth in 30% of men, whereas 5% solution of minoxidil gives the success rate of approximately 65%. What are the differences between formulations of Minoxidil? The main difference between the various types of minoxidil formulation (2%, 5%, 10% & 15%) is the type and the volume of the solvent being used. Generally, 5% formulation is considered as a standard formulation. Higher concentrations include high amount of glycerin along with propylene glycol. They both act as humectants (preserves moisture) which make the product viscous, sticky and it takes more time to dry. Disclaimer: The above indicated prices are not fixed. They may vary with respect to time. Amifostine: Using minoxidil within 24 hours of receiving amifostine could lower your blood pressure to unsafe levels. Guanethidine: It may cause profound orthostatic hypotensive effects (It is a form of low blood pressure that happens when you stand up from sitting or lying down. Orthostatic hypotension can make you feel dizzy or lightheaded, and maybe even faint). Rituximab: It may increases the hypotensive effect of minoxidil. Tretinoin: The risk or severity of adverse effects can be increased when Minoxidil is combined with Tretinoin. Others: May induce profound hypotensive state. Men and women have different patterns of baldness. For women, 2% minoxidil is effective while for men, 5% minoxidil is recommended. Men: Minoxidil 5% is FDA-approved for men with male pattern hair loss. Other uses: Minoxidil 5% is FDA-approved for men with male pattern hair loss. Minoxidil is applied to the scalp to stimulate the hair growth. The patient should follow the necessary instructions before the application of minoxidil. If you are using spray, spray evenly on the bald area. Make sure that the hair are dry before application of the medicine. 1ml of 2% solution to affected area, twice daily. Skip the dose missed and use only the prescribed next dose. Do not use a double dose to make up for the missed doses. 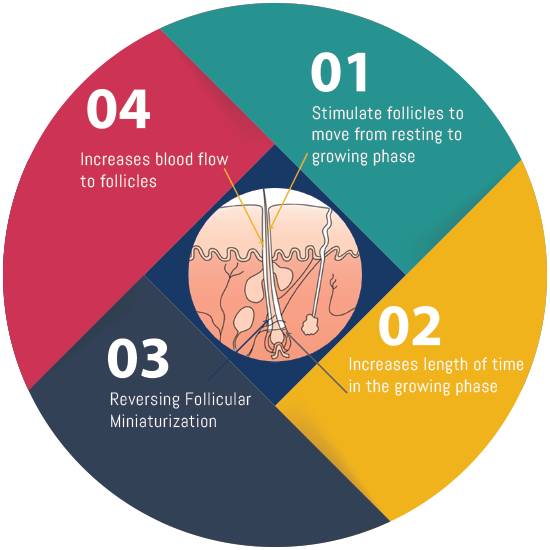 Minoxidil induced hair fall or Telogen Effluvium: Sometimes, when the hair start getting stimulated from the telogen to the anagen phase, they fall off. This is a positive sign and the patient should not stop the medication for the fear of hair fall. Non-hereditary Factors: Hormonal factors like Thyroid can also lead to hair fall. Overactive or underactive thyroid gland may cause hair to fall out. So, you must take the treatment of that from your doctor. Scalp Disorders: If you are suffering from skin disorders like scalp psoriasis, avoid using minoxidil. Scalp psoriasis can cause dry and itchy scalp along with inflammation. Shaved scalp: If you have recently shaved your scalp, avoid using minoxidil immediately. This may lead to redness or itchy scalp. Wound: If you have any open wound or cut on the scalp, avoid using minoxidil. It can cause burning sensation on the skin. Do not apply on the other parts of the body. Do not apply more than the recommended dosage. Do not use any hair color after the application. Avoid going to bed immediately after the application. Use at least before 1 hour. Do not use hair dryers or do not perm your hair after the application. Avoid direct contact to sun rays. As hair won’t re-grow overnight, procedure will take time. It can take up to 4-6 months while in some cases; it can take more than 8-9 months. It varies from patient to patient. Re-growing hair and taking care of them is just like the same as we take care of our other body parts. The more you stick to the instructed routine, better the Minoxidil results will be. Do not use on children or babies. Insoluble in acetone, chloroform or ethyl acetate Average plasma half-life in man is 4.2 hours. Chemically, Minoxidil is 6-(Piperidin-1-yl) pyrimidine-2, 4-diamine 3-oxide used as hair growth stimulator. In US pharmacopeia, Minoxidil is used officially under the labeled amount i.e. not less than 90% and not more than 110%. For its determination in pharmaceutical formulations and biological samples, different methods have been proposed. Following techniques are used for the determination of dosage forms and quantitative analysis of the minoxidil with the added benefits of cost savings. Did you know that approximately 35 million men and 21 million women suffer from hair loss? A year- long test of the minoxidil (Rogaine) on 1833 men had actually convinced doctors regarding Rogaine’s safety and in some cases patients administered with the drug actually grew hair. Is minoxidil safe to take if I’m pregnant or breastfeeding? Women who are pregnant or breastfeeding, are advised to stop using minoxidil. Minoxidil can get absorbed into the skin and can cause birth defects. When women are pregnant, there is an increase in the hormone levels which makes hair look thicker. After the delivery, shedding of hair known as post partum hair loss usually occurs. Once you have finished breastfeeding, you can use minoxidil. Can I use Minoxidil Topical Solution more than twice a day? Will it work faster, better? No, it won’t work faster. 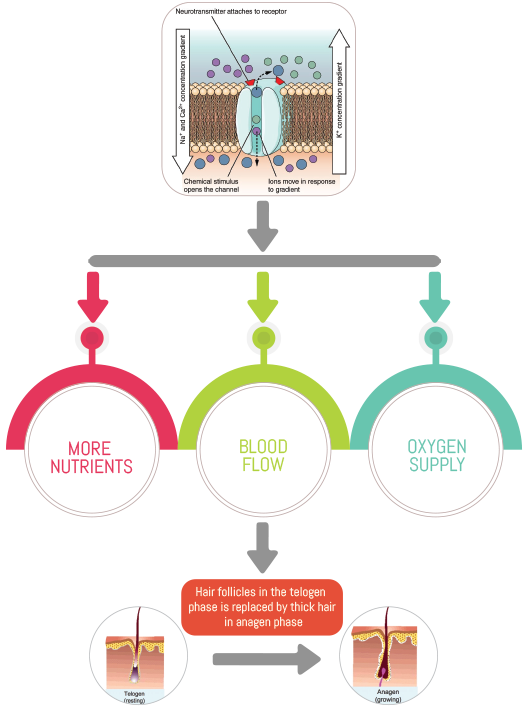 Hair will grow according to the hair growth cycle. Always use the recommended dosage of minoxidil as frequent application of it can cause side effects. Do I have to wash my hair before using minoxidil? No. it is not necessary to wash your hair before the application. Make sure your hair are completely dry because there are chances that minoxidil gets evaporated or diluted on the wet hair. Can I continue my hair styling after the application of minoxidil? Yes, you can continue but be careful while using products. Choose mild or gentle shampoo or conditioner. Do not use hair styling tools like dryers, straighteners or curlers after the application of minoxidil. What happens if I stop using minoxidil suddenly? If the treatment is stopped, you will not lose your hair that grew but they can revert to their previous pattern of hair loss. So consult doctor before you stop using minoxidil. How long I can take a break from minoxidil? Taking a break of one week will cause no problem. It becomes crucial after one month. After how much time of stopping minoxidil hair fall will start? After stopping minoxidil application, you can face hair fall again after one month. It may vary from patient to patient. So consult with your doctor before stopping minoxidil. 1. Rossi A, Cantisani C, Melis L, Iorio A, Scali E, Calvieri S. Minoxidil use in dermatology, side effects and recent patents. Recent patents on inflammation & allergy drug discovery [Internet]. 2012 [cited 6 May 2002]; 2012(22409453):130-6. Available from: https://www.ncbi.nlm.nih.gov/pubmed/22409453. 5. Mysore V, Dua K. Hair transplantation.11:71 1st ed. New Delhi: Jaypee Hights Medical Pub; 2016. 6. 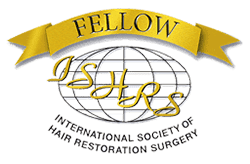 Hasanzadeh H, Nasrollahi S, Halavati N, Saberi M, Firooz A. Efficacy and safety of 5% minoxidil topical foam in male pattern hair loss treatment and patient satisfaction. Acta dermatovenerologica Alpina, Pannonica, et Adriatica [Internet]. 2016 [cited September 2016];3(25):41-44. Available from: https://www.ncbi.nlm.nih.gov/pubmed/27695865.